What's tastier than chewy raisins? 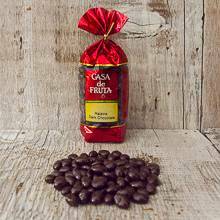 Delicious dark chocolate covered raisins! They're a mouthwatering treat that is not only good, but also good for you. They make a great sweet snack. Packaged in an 8 oz. bag.